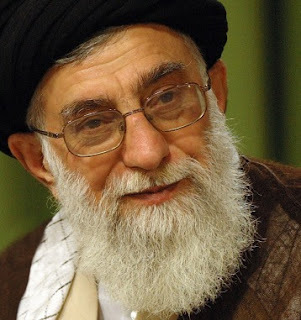 TEHRAN, June 30-- The Supreme Leader of Iran's Islamic Revolution Ayatollah Seyyed Ali Khamenei said Saturday that the Iranian nation will not give up its nuclear rights, stressing that the Western powers' hue and cry will not have an impact on the nation's strong determination. Ayatollah Khamenei said the Iranian nation has shown that the government officials will enjoy public support wherever they choose the right path. The leader said the US government has faced consecutive setbacks in the Middle East and, therefore, tries to divert the public attention from its humiliating failures. Ayatollah Khamenei said senior US officials have made serious miscalculations in their Middle East policies and have now resorted to baseless anti-Iran accusations to conceal their mistakes. In a meeting with members of the cabinet and the executive directors from throughout the country, the leader said that the ninth government has acted bravely in line with the objectives and values of the Islamic Revolution. Meanwhile, a team from the UN nuclear watchdog will visit Iran on July 11-13 to discuss how to resolve questions about Tehran's peaceful nuclear activities. "A team consisting of the agency's deputy director and some officials will come to Tehran to study a working plan that will answer all the remaining issues in regard to Iran's nuclear program," Iran's IAEA envoy, Ali Asghar Soltanieh, told ISNA news agency. Olli Heinonen, the UN agency's global head of inspectors, would lead the delegation. Hamas has displayed both political and military decisiveness in finally putting an end to the Palestinian Contras' plans of spreading "creative destruction" in Gaza in a manner similar to Iraq and to ultimately destroy Hamas politically and militarily. As I said before Hamas had to act and it did. The swiftness of the Hamas response and its ability to rout the Dahlan Contras in just 3 days illustrated the quality and the discipline of its fighters, as much as it illustrated the hopelessness of Usraeli reliance on Palestinian mercenaries who, when the going got tough simply went home. A totally new phase is now facing Hamas and it will require the ability to quickly adapt to new conditions and to take advantage of them. The needed strategies will be different in the West Bank and Gaza. Paradoxically, the conditions in the West Bank are more favorable to Hamas than would appear on the surface. When viewed through the prism of a Fourth Generation War (4GW), the conditions in the West Bank are finally those favoring non-state forces, in this case Hamas. The conditions comprise a direct military occupation by a brutal foreign occupier, a local quisling, doing the bidding of the occupier, who is totally dependent on the occupier for political, military, diplomatic and economic support. The quisling makes no apologies about his open alliance with the occupier and actually joins the occupier in attempting to defeat the popular resistance. The picture is becoming a carbon copy of the occupations of Afghanistan and Iraq. The task of Hamas, at a certain level, is easier under such conditions. It is true that the restrictions against Hamas are increasing enormously in the West Bank. It is very hard to organize, politicize, raise funds, disseminate information, run charities, etc under such conditions. But the fact that Hamas will be forced to go underground for all of its activities (not just military) is an element of strength. The resistance in Iraq can testify to that. Therefore the challenge to Hamas is to adapt quickly to these new conditions and not indulge in wishful thinking of restoring "national unity" and going back to the "good old days." The Vichy government of Abbas has declared its decisive rupture and that is good news; he will no longer be able to re-market himself as a Palestinian leader. Hamas has to learn quickly how to structure all of its activities, on all levels, in a clandestine and far more effective fashion. The Gaza Strip is different. By definition (or as some suspect by design) Hamas finds itself responsible for the daily life requirements of 1.5 million Palestinians living in the world's largest open-air prison. On the one hand this puts a huge burden on Hamas and will consume a considerable portion of its energy and resources. It is almost an impossible task, with the border crossings controlled by Israel with Egyptian compliance. There are attempts by the quisling Abbas, after consultation with his boss Olmert, to have some "International" force re-occupy Gaza and to restore it to the Vichy government. Hamas has to be ready for the various contingencies. On the humanitarian level, Hamas should not aspire to meet the daily needs of the 1.5 millions. This is not copping out or abdication of responsibilities. Hamas should not be caught in the trappings of a non-existent state. The secret for the success of national liberation movements is their ability to fight state forces using 4GW tactics of non-state forces. Again a look at Iraq is illustrative: The resistance can't supply the daily needs of the population and carry out the resistance at the same time. Even though the living conditions in Iraq are horrible, that has not reduced support for the resistance; to the contrary the anger of the population is translated into more support for the resistance. The experience of the Viet Cong in Vietnam was similar, so was the experience of the Algerian national liberation movement. More of the burden should be shifted to UNRWA to take care of the needs of the refugees and pressure should mount on Israel to be burdened with the cost of the real occupation still in effect. On the military and security levels Hamas should not fall in the trap of acting as a state force. I realize the need for some security forces to ensure law and order, but that is a double-edged sword. Deploying Executive Force elements on the streets with their uniforms and weapons makes them easy targets for Israeli aircraft. As I write these lines, I read that an Israeli missile has just killed 3 more of the forces allied with Hamas. One of the secrets of success of non-state forces is their invisibility and their ability to use the element of surprise rather than being surprised. It is still possible to ensure safety on the streets without uniforms and arms in full display. Law enforcement can be ensured by police. The real power backing the police should be there but beneath the surface. Hamas should not be fooled that just because Dahlan and the Contras have been expelled, it is all clear now. The Strip is still full of spies and Israeli eyes in the sky are never far. Therefore, Hamas would be well advised to operate discreetly, even in Gaza. At one level, Hamas should prepare contingency plans in case Gaza is re-occupied either directly by Israel or indirectly by some "International" force. The planning done by the Iraqi resistance, before and in anticipation of the 2003 invasion, is what made the resistance and its ability to endure possible. Who knows, in six months or a year's time the Palestinian resistance might very well be operating underground in both the West Bank and Gaza. That would be the best that can be hoped for after the PA and Oslo are buried. WASHINGTON, D.C. (June 20, 2007) - Today the House of Representatives passed H. Con.Res.21, a resolution that pressures the United Nations Security Council to charge Iranian President Mahmoud Ahmadinejad with violating the 1948 Convention on Genocide and the United Nations Charter because of his alleged calls for the destruction of Israel. "There is reasonable doubt with regard to the accuracy of the translations of President Ahmadinejad's words in this resolution. President Ahmadinejad's speeches can also be translated as a call for regime change, much in the same manner the Bush Administration has called for regime change in Iraq and Iran, making this resolution very ironic," Kucinich said. Kucinich attempted to insert into the Congressional Record two independent translations of the speech from The New York Times and Middle East Media Research Institute, which contain significant differences in the translations of the speech compared to the resolution before the House. However, Members objected formally and the attempt was blocked. "When I learned of these translations, I felt obligated to bring it to the attention of the House. It seems that much has been lost in translation. Members have a right to know of the translations and the refusal to permit them to become a part of the Congressional Record does a disservice to Members." A similar House resolution, H. Res. 523, passed the House two days after the October 26, 2005, speech and before these translations were available. Kucinich supported that resolution in the 109th Congress. "I am unequivocal in my support for the security and survival of Israel, and I do have serious concerns with the remarks made by Mahmoud Ahmadinejad, President of Iran. But, I object to resolutions that lay the groundwork for an offensive, unprovoked war. "The resolution passed by the House today sets a dangerous precedent in foreign affairs. A mistranslation could become a cause of war. The United States House may unwittingly be setting the stage for a war with Iran. "We must make every effort to ascertain the truth because peace in the world may hang in the balance. The only way to definitively know what President Ahmadinejad meant is for the United States to engage in meaningful, diplomatic relations with the country of Iran." Today I begin what I hope will be a continuous series of interviews with various participants in the conflicts in the Middle-East. 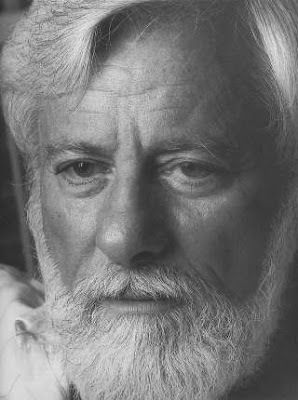 The first person I "spoke" to (by email, actually) is Uri Avnery whose amazing life spans the entire history of Israel. 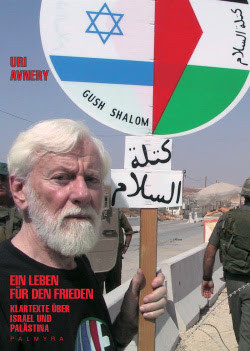 From his political beginning as a 15 year old member of the terrorist group Irgun to becoming the founder of the most consistent Israeli peace group Gush Shalom (Peace Block) Uri Avnery's life of militancy has earned him plenty of enemies and even more supporters. He has been called a "Nazi" and a "self-hating Jew" by Neocon Zionists (amusingly enough, most of which manifest their Zionist patriotism by living outside Israel or never personally participating in any conflict with real bullets). The Neocon's boundless arrogance and their imperial messianism has resulted into two very different consequences. One one hand, an increasing number of Americans are finally daring to question and challenge the total control exercised by the Neocons over US foreign policy, Congress or even the political discourse. That is,of course, a highly positive development. On the other hand, however, this realization has also lead many to conflate the Neocons with "the Jews" as if the latter was a monolithic block with a unifying objective. This fallacy wholly overlooks the fact that not all Neocons are Jews and, even more importantly, that most Jews are not Neocons. This is not the first time in history that this happens. For example, it can hardly be denied that a vast majority of Bolsheviks, in particular in the horrible Leninist ancestor of the KGB, the "ChK" (or Cheka), were Jews. This does not at all mean that most Jews in Russia were Bolsheviks as many Russians still think nowadays. The same fallacy leads all too many people today blaming "the Jews" for what are the actions of a small but highly powerful group. While many people understand that this kind of logic is deeply flawed, most only oppose it on the grounds that it blames innocent people, which it most certainly does. But no less important is the fact that conflating Neocons with "the Jews" or, for that matter, American messianic imperialists with "the Americans", gets the real culprits of the hook: the thugs who are pulling the strings of the centers of Imperial power love nothing more than to hide behind the backs of the innocents which inadvertently provide them with a fantastic cover. Does anybody seriously believe that the ADL or AIPAC leadership really cares about any Jews or Israelis?! Of course not - they just need them as cover for their Neocon bosses. Olmert cares as much about his fellow Israelis as Bush the Lesser cares about his fellow Americans or the Imperial war pimps care about the troops they claim to "support" but use as cannon-fodder in Imperial wars of aggression. Every time an innocent is blamed the guilty one gets away. I decided to ask Uri the hard questions which most Gentiles still rarely directly submit to Jews. I wanted to hear the answer of a person who still considers himself highly patriotic, who loves his country and his people, but who also fully opposes the policies of the Neocon/Zionist Empire. Kindly enough, Uri took some time of his very busy schedule to give me some short, but direct, answers. I am deeply grateful to him for that. NEOCONS AND JEWS: The policies of the Bush administration have resulted in a strong backlash against the so-called "Neocons" (most of which are Jews). The political debate on the Internet (the so-called "blogosphere") is now becoming saturated with accusations of anti-Semitism on one hand and of a "Jewish conspiracy" on the other. Jews who are critical of Neocon or Israeli policies are being called "self-hating Jews" by Neocons. What do you make of this Neocon-Jews connection? In your opinion, are Neocons truly worried about the welfare of Israel or are they pursing other goals? Are there Neocons in Israel? The Neocons are closely connected with right-wing Israelis, especially Benjamin Netanyahu of the Likud party. They completely identify Israeli and American interests. WHO IS USING WHOM? Noam Chomsky denies the existence of a "Jewish Lobby" and claims that it is the USA who are, in fact, using Israel for their own imperial designs. In your opinion, who is using whom? Is Israel a tool in the hands of the USA, or are the USA a tool in the hands of the Israeli government? Or is this a symbiotic relationship. In the latter case, do you believe that it is in Israel's advantage to be so closely identified with the USA and do you believe that it is in the USA's interest to be so closely identified with the policies of Israel? Both theories are right. The dog wags its tail and the tail wags its dog. It is a very complex - indeed unique - relationship. A "HOLOCAUST INDUSTRY"? What do you make of the accusation of some American Jews (such as Norman Finkelstein or Michael Neumann) that the memory of the millions of Jews killed by the Nazis is being cynically used for political purposes by a "Holocaust Industry" lead by such organizations as the ADL, B'nai Brith, AJC, AIPAC and others? To what degree do these organizations speak for Jews in general and, in particular, for Israeli Jews? The Holocaust is a living reality in the life of many Israelis. Its impact is real and immense. It is also manipulated for political ends by the Israeli government and Jewish institutions abroad. IS ISRAEL A MORALLY LEGITIMATE STATE? What do you make of the accusation that Israel is a creation of European colonial powers and that it has therefore no moral right to exist on the land belonging to the Palestinians (under whatever state or government)? Some even argue that Israel, being a self-described "Jewish state", is an ethno-religious entity comparable to the South African Apartheid regime and that Iranian President Ahmadinejad is in his right when he says that this regime should be totally eliminated and, presumably, be replaced by a "one man one vote" system which would give Arab Muslims the majority in Palestine. Do you think Israeli Jews should give up their dream for a "Jewish state" in which they would be the majority and, if not, how could Israel ever be a truly democratic country? Israel is morally as legitimate as the US, which isbased on genocide and slavery. The question of "morally legitimate" can be asked about dozens of states around the world, the differences only concern time. The fact is that in our country there exist now two nations with deep roots in it, and peace must be made between the two. IS ZIONISM RACIST OR NOT? You spend many years of your life fighting for Israel. During most of these years, the United Nations condemned Zionism as a form of racism (the UN has since changed its stance). What is your view of Zionism? Is it a race-based religion and ideology or not? Do those who seek out, and often find, offensive anti-Gentile quotes in the Talmud have a point or not? The UN is a political organization, driven by the political interests of its members - once the Soviet-third- world coalition, now the USA.Zionism is a many-faceted movement, like socialism etc. The word has no real meaning until it is clearly defined what it means in the context of a particular question. I consider myself a post-Zionism (indeed, I was the first to use the term), which means that I believe Zionism is obsolete. We are now talking about the State of Israel, its interests and actions. The Talmud (actually there are two Talmuds) is an immense work which has been collected throughout several centuries. You can find there everything, from the best to the worst - much as in other religions, including Christianity and Islam. WHAT DRIVES ISRAELI LEADERS? What worldview, what ideology or religion inspires leaders like Sharon, Natanyahu or Olmert? Is it Judaism? Zionism? Neoconservatism? What are the ideological roots of their beliefs and policies? What role does Judaism play in modern Israel? Is it the root of the hostility of some Jews towards Gentiles and to what degree is Zionism influenced by the values and ideas of Judaism? The interests of Israel are the determining factor in Israeli public discourse - with many contradictory views and tendencies. Zionist history play a role in forming the ideas of political leaders, public attitudes and propaganda. WAHABIS AND SALAFIS. Groups such as Al-Qaeda or Hamas appear determined to truly destroy Israel and most likely all of its Jewish inhabitants (at least those not willing to abandon their identity). What should Israel do in regards to these groups and the threat they represent? Do you think negotiations are possible with Wahabi/Salafi organizations? There are many forms of Salafism, and many interpretations. History disproves any claim that it isanti-Jewish. No pogroms and no Holocaust in the Islamic world. Undeniably, the hostility between Jews and Muslims started with the Zionist-Arab conflict. ISRAELI ELECTIONS. Why do Israelis still elect people like Olmert or Netanyahu? After all the years of suffering and war, why are most Israelis not willing to negotiate with their enemies (such as Hamas or Hezbollah) rather than insist on pretending to negotiate with people such as Abbas or Siniora who simply do not represent the majority of the people of their country? Why was Bush elected? To outsiders, the election of such an inferior politician seems incredible. Politics create facts that are often bizarre. WHAT IS THE CONDITION OF THE ISRAELI PEACE MOVEMENT? To my knowledge, during the summer of 2006, Gush Shalom was the only political force opposed the war. Is this correct? What is the status of the Israeli peace movement today? Who, in the Arab and Muslim world, do you see as your primary interlocutors and potential allies? Who in the Middle-East share your hopes and values? The peace movement is in a bad situation on the ground, but our ideas are slowly gaining ground beneath the surface. We want to talk with all elements of the Palestinian public, including Hamas, and with all parts of the Arab world, including Hizbullah and Syria. Also with Iran, if possible. BLAMING "THE JEWS". What do you have to say to those who blame "the Jews" for US support for past Israeli aggressions and atrocities in the past? For the seemingly unconditional support and "cover" the USA gives to Israel in the UN Security Council? For the 3 Trillion dollars in US support received since its creation? What should those who blame "the Jews" (as if there was such one, monolithic entity) read to correctly understand these issues? The American political structure has made the pro-Israeli lobby (Jewish and Christian) very strong. That's really an American problem, not ours. WHAT FUTURE ISRAEL WOULD YOU WANT TO SEE? Please outline your idea of a future Israel. What would be the first priorities of a Gush Shalom government and Knesset? What is your best hope for the future of the Middle-East? I want peace between Israel and Palestine, two states with their capitals in Jerusalem. Details in the "Truth against Truth" on the Gush Shalom website. Shalom! MOSCOW: Russia has carried out a successful test of a sea-based intercontinental missile from a nuclear submarine, the military said Thursday. The test on the new Bulava ballistic missile was conducted in the White Sea off Russia's northwest coast, military spokesman Igor Dygalo told AFP. "The missile warhead arrived in the foreseen deadline" in the Kura test range in the Kamchatka region of Russia's Far East, the spokesman added. The missile was fired from the same submarine, the Dmitry Donskoi, that was used for a test which failed last October. Two other tests have failed in recent years. The test comes amid Russian anger at US plans to locate a powerful missile-tracking radar in the Czech Republic as well interceptor missiles in Poland to combat what it says are threats to global security. Bulava missiles have a range of 8,000 kilometres (5,000 miles) and can be equipped with up to 10 individually targetted nuclear warheads. According to the Russian press, Moscow first tested a Bulava in September 2005 and conducted a first successful test in December of that year. At least 10 more Bulava tests are in the pipeline for 2008, Russian news agencies said. Bulavas are designed to stock Russia's new Borei class of submarine and Moscow has spoken of their ability to pierce any potential missile shield. On May 29, Russia announced a successful test of the RS-24, another new intercontinental missile with multiple warheads that Moscow has presented in response to Washington's missile defence shield ambitions. Russia has also begun mass production of Topol-M strategic missiles, the land-based equivalent of the Bulava, the country's First Deputy Prime Minister Sergei Ivanov said on Tuesday. "We are now moving on to a new and very important rearmament stage for both our nuclear strategic forces and our tactical complexes," he was quoted as saying by the Interfax news agency. "These are not prototypes but mass production," he said. "I am talking of stationary Topol-M missile complexes but also of mobile ones which can be fitted with different types of warhead, as well as Iskander-M missiles." The Topol-M is known to NATO as the SS-27 and is a three-stage intercontinental ballistic missile with a range of 10,000 kilometres (6,200 miles) which can be deployed on both stationary and mobile launch platforms. It is 22.7 metres (74 feet) long with a diameter of 1.95 metres and weighs 47 tonnes. The Iskander-M is a short range tactical missile known to NATO as the SS-26. Ivanov announced in July 2006 that by 2015 the Russian armed forces would be equipped with 69 Topol-M missiles and about 60 Iskander-M weapons. July 2006 reminds the world of the 33-day war launched by Israel against Hezbollah. The Zionist regime’s aggressions, which were supported by the US and its allies, destroyed southern Lebanon and killed hundreds of civilians. In fact, the American cluster bombs fired by Israel during the war continue to claim the lives of Lebanese civilians. Lebanese Premier Fuad Siniora had asked the US not to sell cluster bombs to Israel and US State Department Spokesman Sean McCormack confirmed Israel violated agreements with the United States governing their use. Israeli Prime Minister Ehud Olmert later testified that he launched the 33-day war against Hezbollah fighters in Lebanon in line with a contingency plan he approved four months before the war. Olmert and Defense Minister Amir Peretz have seen their popularity slump since the war, in which 158 Israelis, including 117 soldiers and 41 civilians, were killed. In Lebanon, about 1,200 civilians were killed. The Israelis criticized the failure of their government and asked for accountability of the Zionist officials. AMIR TAJIK: Hezbollah could target Tel Aviv during the 33-day war, but it didn’t do so. Why? SEYYED ABDULLAH SAFIADEEN: Basically, all the military capabilities should not be used at the beginning of a war. Seyyed Hassan Nasrollah, Hezbollah leader, announced that Tel Aviv will be targeted by Hezbollah missiles if the Israeli regime targets Beirut, Lebanon’s capital. This has two implications: First, Hezbollah missiles can reach Tel Aviv and there is no doubt about it. Second, we restricted the Israeli regime to focus its attacks on some parts of Lebanon and, thanks to God, we succeeded. It is natural for both sides to bomb each other and kill people but the rules of the game are set when it starts. Hezbollah did not consider it necessary to use its full capabilities. It had capabilities that were kept for the next phase of the war. If Israel had made a mistake by attacking Beirut, Hezbollah would definitely have used its military capability. Some critics say Hezbollah’s tactics during the war with Israel were Iranian tactics. No. We study war tactics from all over the world. One of the advantages of Hezbollah is that it’s not only a military group. We studied all war options before the beginning of the 33-day war, because we are always in a state of readiness. We studied the Israeli soldiers’ morale, their capabilities and even Israeli public opinion and knew the weak points of the enemy. We studied all options and finally selected the tactics used in the 33-day war. Those tactics were also used in the 7-day war of 1993 and the 16-day war of 1996. We selected the way of fighting Israel. If Muslim states offered us help, we would accept. We will never reject others’ help, but this does not mean that we would use special tactics. Was Hezbollah weakened by the 33-day war? No. With God’s Help, Hezbollah’s military and defensive capability has become ten times stronger since last year. It is a fact that Israel is considered the US military base in region and its weakness means the US has been weakened. Moreover, we can say that actually America was the one defeated during the 33-day war and this defeat opens the door to further defeats in the region and in the international arena. Is there any possibility of Israel attacking southern Lebanon again in the near future? All neighbors of Israel should always be aware and ready because Israeli nature is aggressive. Israel’s nature is to occupy lands of neighboring states and bear enmity toward the Islamic world. So, we believe that our enemy is always ready to attack us. You can see that Israel is intensifying its aggression against the Palestinians and continues to violate Lebanon’s airspace on a daily basis. This is aggression and we are always in a state of readiness and we will give them an appropriate response when necessary. Israel was defeated during the 33-day war and it admitted its failure to the Winograd committee. That’s why you saw many resignations in its cabinet after the war. Why didn’t Palestinians help Hezbollah during the 33-day war? You should consider the resistance against Israel as Hezbollah (Army of God) and in this context all Muslims and Arabs who are against Israel will be known as Hezbollah. You could see it during the war with Israel. Hezbollah was fighting Israel, but all Lebanese, especially people in southern Lebanon, stood by it. The same were people of Palestine, Iran and Arab world. We believe that Hezbollah is fighting Israel on behalf of them. You could see massive rallies supporting Hezbollah in all countries and even in Washington. The fact that people poured into streets and supported Hezbollah shows that it was not just Hezbollah that fought with Israel. Hezbollah is honored to fight Israel and, with God’s Help, it succeeded. We believe that Hezbollah is not alone today and never was. The US political elite just doesn't get it. Israel is not popular in the Middle East, and it isn't because Middle Easterners are bigots. It is because Israel is coded as the last European colonial presence in the region, an heir to French Algeria, British Egypt, and Dutch Indonesia-- and because the Israelis pugnaciously continue to try to colonize neighboring bits of territory. (This enmity is not inevitable or eternal; in 2002 the Arab League offered full recognition of Israel in return for its going back to 1967 borders, but the Israeli government turned down the offer.) But for the purposes of this analysis it does not really matter why Israel is unpopular. Let us just stipulate that it is. Why would you associate American Iraq with such an unpopular project, if you were trying to do public diplomacy in the region? Bush had just announced a new push to get the American message out to the Muslim world, the day before. Let's just take the analogy seriously for a moment. Israel proper is a democracy of sorts, though its 1 million Arab citizens are in a second class position. But it rules over several million stateless Palestinians who lack even the pretence of self-rule. It is hard to characterize a country as a democracy when it has millions of disenfranchised subjects. Bush manages to only think about Jewish Israelis in the above analogy, wiping out millions of other residents of geographical Palestine who don't get to participate in 'democracy' or exercise popular sovereignty. Israel-Palestine is among the world's hottest trouble spots, and the conflict has poisoned politics throughout the Middle East. It was among the motives for Bin Laden's attack on the US on September 11, so it has spilled over on America, too. A second one of those would be a good thing? So who would play the Palestinians in Bush's analogy? Obviously, it would be the Sunni Arabs, who apparently are meant to be cordoned off from the rest of Iraqis and put behind massive walls and barbed wire, and deprived of political power. That is not a desirable outcome and is not politically or militarily tenable in the long run. And, let's just stop and think. Even if it were true that an Israel-Palestine sort of denouement were in Bush's mind for Iraq, was it wise for him to make it public? That sort of scenario is precisely the propaganda message broadcast by the Jihadi websites in Iraq and the Arab world! They say that the US military occupation of Iraq, in alliance with Shiites, has turned the Sunni Arabs into Palestinians! Bush could not have handed the guerrillas a better rhetorical gift. 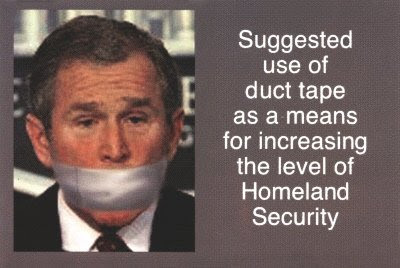 I do not think it is an exaggeration to say that DVD's of Bush's comments will be spread around as a recruiting tool for jihadis, and that US troops will certainly be killed as a result of this speech. You could say that the US military presence is already pretty unpopular in the Sunni Arab areas. But what of the progress in al-Anbar Province? Will Bush's speech help or hurt Sunni Arabs who want to ally with the US against the foreign Salafi Jihadis? Hurt, obviously. If Bush had said something like that in 2002, you could have written it off as inexperience and lack of knowledge of the Middle East. But he has been the sitting president for so many years, and has had so much to do with the Middle East that this faux pas is just inexcusable. I don't know the man and can't judge if he is just not very bright. I can confirm that he says things that are not very bright. And, worse, he says things that are guaranteed to put more US troops into the grave in Diyala, Baghdad, Salahuddin and al-Anbar Provinces. I don't know whether to sob in grief or tear my hair out in frustration. How much longer do we have to suffer? Saudi Arabia's King Abdullah has snubbed the Palestinian president, skipping a meeting with Mahmoud Abbas on a visit to Jordan. An Abbas official said "the meeting was postponed due to lack of time as both leaders had busy schedules", but Al Jazeera's David Chater, reporting from Jordan, said it was a deliberate and undiplomatic snub. Abbas was kept waiting at a palace room for a telephone call that never came. Instead, the Saudi monarch, who brokered a power-sharing deal between Abbas's Fatah faction and rivals Hamas in February, urged both sides to talk to each other, saying the infighting was benefiting only the Israelis. It would be a bitter pill for Abbas to swallow, just days after he dissolved the unity government set up under the Saudi deal and accused Hamas of attempting to assassinate him. He had said then that he would not enter into talks with the group after it seized Gaza and humiliated Abbas by occupying his presidential compound there. The official from Abbas's office said Abbas would meet Abdullah in Saudi Arabia "in the few coming weeks" but gave no details. The leaders had been expected to discuss Hamas's takeover of Gaza. The leaders of Saudi Arabia, Jordan and Egypt all fear that armed groups in their countries will be emboldened by Hamas's move and while they have publicly shown the Palestinian president support, they have also leaned on him to engage Hamas once more. The Saudi monarch and his Jordanian counterpart, King Abdullah II, said on Wednesday that Hamas's Gaza takeover – which in effect split the Palestinians into two entities – could have "dangerous repercussions". Bethlehem - Ma'an Exclusive – The Fatah-affiliated Al Aqsa Brigades have announced that they have rejected the presidential decree regarding the disbanding of militia in the occupied Palestinian territories. First: the rejection of the dissolution of the brigades, "because they are a resistance group, and are defending the country and the dignity of the people". Second: the refusal to disarm the group, "because it is a legitimate arm of resistance, and is the only weapon to remain to defend the Intifada ["Uprising"]." Third: the rejection of the description of the brigades as 'militias', "which defame the Palestinians, and it is nonsense to describe the only remaining armed wing as a militia." Fourth: the brigades support the presidents' decision to withdraw illegal arms used in the lawlessness, and announce that they stand with the security forces to stop the state of disorder. Fifth: the brigades will "do their best" to aid the security forces, "and will be honored to stand beside the security forces to defend the country." Sixth: the brigades will not be complacent before the crimes of the occupation, "and will retaliate for the crimes committed [by the occupying Israeli military], especially in the recent days in the [Gaza] Strip, Nablus and Jenin. Seventh: the brigades reject the connection established between themselves and the current state of lawlessness, and confirm that they "were created to confront the occupation and its aggression against the Palestinian people". Eighth: the brigades will not be committed to a truce with the Israelis, as long as the occupation continues the crimes and incursions against Palestinians and their cities. This January, President Bush announced his "surge" plan for Iraq, which he called his "new way forward." It was, when you think about it, all about numbers. Since then, 28,500 new American troops have surged into that country, mostly in and around Baghdad; and, according to the Washington Post, there has also been a hidden surge of private armed contractors -- hired guns, if you will -- who free up troops by taking over many mundane military positions from guarding convoys to guarding envoys. In the meantime, other telltale numbers in Iraq have surged as well. Now, Americans are theoretically waiting for the commander of U.S. forces in Iraq, General David Petraeus, to "report" to Congress in September on the "progress" of the President's surge strategy. But there really is no reason to wait for September. An interim report -- "Iraq by the numbers" -- can be prepared now (as it could have been prepared last month, or last year). The trajectory of horror in Iraq has long been clear; the fact that the U.S. military is a motor driving the Iraqi cataclysm has been no less clear for years now. So here is my own early version of the "September Report." A caveat about numbers: In the bloody chaos that is Iraq, as tens of thousands die or are wounded, as millions uproot themselves or are uprooted, and as the influence of Prime Minister Nouri al-Maliki's national government remains largely confined to the four-square mile fortified Green Zone in the Iraqi capital, numbers, even as they pour out of that hemorrhaging land, are eternally up for grabs. There is no way most of them can be accurate. They are, at best, a set of approximate notations in a nightmare that is beyond measurement. Iraq is # 2: It now ranks as the world's second most unstable country, ahead of war-ravaged or poverty-stricken nations like Somalia, Zimbabwe, the Congo, and North Korea, according to the 2007 Failed States Index, issued recently by the Fund for Peace and Foreign Policy magazine. (Afghanistan, the site of our other little war, ranked 8th.) Last year and the year before Iraq held 4th place on the list. Next year, it could surge to number #1. Number of American troops in Iraq, June 2007: Approximately 156,000. Number of American troops in Iraq, May 1, 2003, the day President Bush declared "major combat operations" in that country "ended": Approximately 130,000. Number of Sunni insurgents in Iraq, May 2007: At least 100,000, according to Asia Times correspondent Pepe Escobar on his most recent visit to the country. American military dead in the surge months, February 1-June 26, 2007: 481. American military dead, February-June 2006: 292. Number of American troops Deputy Secretary of Defense Paul Wolfowitz and other Pentagon civilian strategists were convinced would be stationed in Iraq in August 2003, four months after Baghdad fell:): 30,000-40,000, according to Washington Post reporter Tom Ricks in his bestselling book Fiasco. Number of attacks on U.S. troops and allied Iraqi forces, April 2007: 4,900. Percentage of U.S. deaths from roadside bombs (IEDs): 70.9% in May 2007; 35% in February 2007 as the surge was beginning. Percentage of registered U.S. supply convoys (guarded by private contractors) attacked: 14.7% in 2007 (through May 10); 9.1% in 2006; 5.4% in 2005. Percentage of Baghdad not controlled by U.S. (and Iraqi) security forces more than four months into the surge: 60%, according to the U.S. military. Size of U.S. embassy staff in Baghdad: More than 1,000 Americans and 4,000 third-country nationals. Staff U.S. Ambassador Ryan Crocker considers appropriate to the "diplomatic" job: The ambassador recently sent "an urgent plea" to Secretary of State Condoleezza Rice for more personnel. "The people here are heroic," he wrote. "I need more people, and that's the thing, not that the people who are here shouldn't be here or couldn't do it." According to the Washington Post, the Baghdad embassy, previously assigned 15 political officers, now will get 11 more; the economic staff will go from 9 to 21. This may involve "direct assignments" to Baghdad in which, against precedent, State Department officers, some reputedly against the war, will simply be ordered to take up "unaccompanied posts" (too dangerous for families to go along). U.S. air strikes in Iraq during the surge months: Air Force planes are dropping bombs at more than twice the rate of a year ago, according to the Associated Press. "Close support missions" are up 30-40%. And this surge of air power seems, from recent news reports, still to be on the rise. In the early stages of the recent surge operation against the city of Baquba in Diyala province, for instance, Michael R. Gordon of the New York Times reported that "American forces.... fired more than 20 satellite-guided rockets into western Baquba," while Apache helicopters attacked "enemy fighters." ABC News recently reported that the Air Force has brought B-1 bombers in for missions on the outskirts of Baghdad. Number of years before the Iraqi security forces are capable of taking charge of their country's security: "A couple of years," according to U.S. Army Brig. Gen. Dana Pittard, commander of the Iraq Assistance Group. Amount of "reconstruction" money invested in the CIA's key asset in the new Iraq, the Iraqi National Intelligence Service: $3 billion, according to Asia Times correspondent Pepe Escobar. Number of Iraqi "Kit Carson scouts" being trained in the just-captured western part of Baquba: More than 100. (There were thousands of "Kit Carsons" in the Vietnam War -- former enemy fighters employed by U.S. forces.) In fact, Vietnam-era plans, ranging from Strategic Hamlets (dubbed, in the Iraqi urban context, "gated communities") to the "oil spot" counterinsurgency strategy, have been recycled for use in Iraq, as has an American penchant for applying names from our Indian Wars to counterinsurgency situations abroad, including, for instance, dubbing an embattled supply depot near Abu Ghraib, "Fort Apache." Number of Iraqis who have fled their country since 2003: Estimated to be between 2 million and 2.2 million, or nearly one in ten Iraqis. According to independent reporter Dahr Jamail, at least 50,000 more refugees are fleeing the country every month. Percentage of refugees, internal and external, under 12: 55%, according to the President of the Red Crescent Society. Percentage of Baghdadi children, 3 to 10, exposed to a major traumatic event in the last two years: 47%, according to a World Health Organization survey of 600 children. 14% of them showed symptoms of post-traumatic stress disorder. In another study of 1,090 adolescents in Mosul, that figure reached 30%. Number of Iraqi doctors who have fled the country since 2003: An estimated 12,000 of the country's 34,000 registered doctors since 2003, according to the Iraqi Medical Association. The Association reports that another 2,000 doctors have been slain in those years. Number of Iraqi refugees created since UN Secretary-General Ban Ki-Moon declared a "humanitarian crisis" for Iraq in January 2007: An estimated 250,000. Percentage of Iraqis now living on less than $1 a day, according to the UN: 54%. Iraq's per-capita annual income: $3,600 in 1980; $860 in 2001 (after a decade of UN sanctions); $530 at the end of 2003, according to Asia Times correspondent Pepe Escobar, who estimates that the number may now have fallen below $400. Unemployment in Iraq is at around 60%. Rate of chronic child malnutrition: 21%, according to the World Health Organization. (Rates of child malnutrition had already nearly doubled by 2004, only 20 months after the U.S. invasion.) According to UNICEF, "about one in 10 children under five in Iraq are underweight." Number of Iraqis held in American prisons in their own country: 17,000 by March 2007, almost 20,000 by May 2007 and surging. Number of Iraqis detained in Baquba alone in one week in June in Operation Phantom Thunder: more than 700. Average number of Iraqis who died violently each day in 2006: 100 -- and this is undoubtedly an underestimate, since not all deaths are reported. Number of Iraqis who have died violently (based on the above average) since Ban Ki-Moon declared a "humanitarian crisis" for Iraq in January 2007: 15,000 -- again certainly an undercount. Percentage of seriously wounded who don't survive in emergency rooms and intensive-care units, due to lack of drugs, equipment, and staff: Nearly 70%, according to the World Health Organization. Number of university professors who have been killed since the invasion of 2003: More than 200, according to the Iraqi Ministry of Higher Education. The value of an Iraqi life: A maximum of $2,500 in "consolation" or "solatia" payments made by the American military to Iraqi civilians who died "as a result of U.S. and coalition forces' actions during combat," according to a U.S. Government Accountability Office (GAO) report. These payments imply no legal responsibility for the killings. For rare "extraordinary cases" (and let's not even imagine what these might be), payments of up to $10,000 were approved last year, with the authorization of a division commander. According to Walter Pincus of the Washington Post, "[W]e are not talking big condolence payouts thus far. In 2005, the sums distributed in Iraq reached $21.5 million and -- with violence on the upswing -- dropped to $7.3 million last year, the GAO reported." The value of an Iraqi car, destroyed by American forces: $2,500 would not be unusual, and conceivably the full value of the car, according to the same GAO report. A former Army judge advocate, who served in Iraq, has commented: "[T]he full market value may be paid for a Toyota run over by a tank in the course of a non-combat related accident, but only $2,500 may be paid for the death of a child shot in the crossfire." Percentage of Americans who approve of the President's actions in Iraq: 23%, according to the latest post-surge Newsweek poll. The President's overall approval rating stood at 26% in this poll, just three points above those of only one president, Richard Nixon at his Watergate worst, and Bush's polling figures are threatening to head into that territory. In the latest, now two-week old NBC/Wall Street Journal poll, 10% of Americans think the "surge" has made things better in Iraq, 54% worse. Tom Engelhardt, who runs the Nation Institute's Tomdispatch.com ("a regular antidote to the mainstream media"), is the co-founder of the American Empire Project and, most recently, the author of Mission Unaccomplished: Tomdispatch Interviews with American Iconoclasts and Dissenters (Nation Books), the first collection of Tomdispatch interviews. 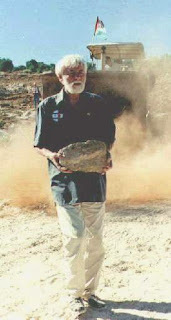 On 25 June 2006, a band of eight armed Palestinians crossed from the Gaza Strip into Israeli territory, near Kibbutz Kerem Shalom, and attacked an army post and tank. During the ensuing battle, two members of the band – Muhammad Farwaneh and Hamed a-Rantisi – and two Israeli soldiers – Hanan Barak and Pavel Slutzker – were killed. The soldier Gilad Shalit, who was in the tank at the time of the attack, was abducted by the band and taken, apparently wounded, to the Gaza Strip. The identity of the organization that carried out the attack, or of the persons who dispatched the band, is not known for certain. According to media reports, the attack was a joint effort of three organizations: the Popular Resistance Committees, the 'Iz a-Din al-Qassam Brigades, and the Islamic Army. A few days after the attack, the media reported that Shalit's abductors demanded, in exchange for Shalit, the release of one thousand Palestinian prisoners being held in Israeli prisons. The abductors' demand contained an implied threat (and in some of the reports the threat was explicit) to execute Shalit if their demand was not met. Subsequently, extensive negotiations, mediated by Egypt , began between the Hamas leadership, which represented the abductors, and Israel on the details of the exchange. The negotiations continued on and off for many months, but the sides did not reach an agreement. The location where Shalit is being held is unknown. According to various Hamas spokesmen, Shalit is being held in proper conditions. However, these claims have never been verified, given that the abductors have not allowed representatives from the International Committee of the Red Cross, or from any other international organization, to visit Shalit. International humanitarian law recognizes, subject to certain conditions, the right of parties taking part in hostilities to capture combatants of the opposing side and hold them until the hostilities end, but only with the objective of removing them from combat. States may also arrest combatants belonging to the other side, and under certain conditions civilians as well, who are suspected of having committed criminal offenses, for the purpose of prosecuting them. Contrarily, seizing a person (civilian or combatant) and holding him forcibly with the objective of pressuring the other side to meet certain demands is absolutely prohibited, and is considered hostage taking. This act is much more grievous when it is accompanied by a threat to kill or injure the hostage if the hostage-takers' demands are not met. Furthermore, breach of the prohibition is deemed a war crime, for which everyone involved in the act bears criminal responsibility. 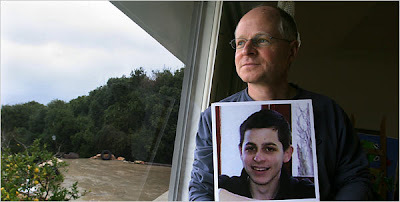 The circumstances in which Shalit was abducted and has been held clearly indicate that he was taken hostage. Regardless of the question of the legality of the seizure or status of the person who is seized, international humanitarian law states that every person is entitled to be treated humanely and in a dignified manner by the opposing side, whatever the circumstances. Prisoners of war are entitled to a variety of other rights, among them to right to receive visits by the ICRC. Given that Shalit is entitled to the status of POW, denial of his right to these visits also constitutes a flagrant breach of international law. Moreover, the refusal to allow visits and cutting Shalit off totally from the outside world raise the grave suspicion that he is being treated improperly, in particular regarding the medical treatment he has, or has not, received for his injury. For these reasons, the Hamas leadership, as the persons holding actual control of the security apparatuses in the Gaza Strip, has the duty to act order to bring about Shalit's unconditional release immediately. Until his release, the persons holding him must treat him humanely and enable representatives of the ICRC to visit him. If Israel launches next war round as near as tomorrow … “Hizbullah is ready”! BEIRUT: Hizbullah is busy preparing for another attack by “Israel” in the knowledge that the Jewish (Zionist) state will not rest easy with the results of last summer`s 34-day conflict, military analysts in Beirut believe. Since a UN-brokered cease-fire came into force last August 14, the group has been steadily gearing itself up for the next round, with the same determination and secrecy that have made its reputation, the experts say. "Immediately after last summer`s war Hizbullah began refortifying its positions and working on new ones," said Judith Palmer Harik, an author of a book on Hizbullah. The only Lebanese group officially, as a national occupation-resistance, allowed its own arsenal by the government; Hizbullah has reportedly moved most of its weapons out of the border area with “Israel” to conform with Security Council Resolution 1701 which ended the conflict. A Western military observer in the Lebanese capital, who spoke on condition of anonymity, said Hizbullah was now redeploying its arms further North. "They left the [border] zone at once," he said. "Last summer, much to their surprise, they found themselves fighting well in front of their strongest lines because the ‘Israeli’ Army halted near the frontier. "Hizbullah has far stronger positions in the rear, north of the Litani River, that no one knows about and that they are fortifying all the time." For 24 years Timur Goksel was the public face of the United Nations Interim Force in Lebanon (UNIFIL), and the former UNIFIL spokesman says it is only a matter of time before war between ‘Israel’ and Hizbullah breaks out again. "`Israel` can`t live in the Middle East with the impression they lost to Hizbullah, a ‘militia’," said Goksel, now lecturing at the American University of Beirut. "Since 1949 they lived on their reputation of the unbeatable ‘Israeli’ soldier, the invincible Jewish (Zionist) Army, the legend. And here comes the Hizbullah who says `We beat you.` They have to set that correct. They have no other option - they have to restore their credibility." He says further conflict is inevitable but not imminent. "Not now, it will take ‘Israel’ time to be ready. I`d say two years. Hizbullah knows that very well and they are working on it full-time." Even in the border zone, patrolled by blue-helmeted international peacekeepers and the Lebanese Army, Hizbullah is busy preparing for the next round of hostilities. The militants are so accepted by villagers in the area that no outsider gets to know what is really going on there. "Iron discipline reigns within the Hizbullah ranks," Goksel told AFP. "Promotion is only on merit and security vetting Draconian. They`re almost impossible to infiltrate and extraordinarily professional." Retired Lebanese General Wehbe Katisha has no doubt that Hizbullah "has retained its military potential and is preparing for the next assault. "UNIFIL knows nothing about what`s going on in the zone. It`s not an easy situation for the Lebanese Army - we don`t have enough numbers, equipment or vehicles." Shortly after last summer`s devastating conflict ended, Hizbullah leader Sayyed Hassan Nasrallah said that the occupation-resistance group`s arsenal had been replenished and that it now included new weaponry. "Knowing their organization, their planning, I think they are going to go more on sophisticated air defense," Palmer Harik said. "Hizbullah is a great mixture of traditional guerrilla warfare and very advanced and efficient weapons." According to Goksel, "Hizbullah knows very well that next time it`s going to be different. What did we do wrong last time, what will happen next time? They know the other side is studying too. If it happens tomorrow, they`re ready." WASHINGTON, Jun 26 (IPS) - US President George W. Bush threw his full support behind President Mahmoud Abbas of the Palestinian Authority (PA) last week, declaring the Fatah leader "the president of all the Palestinians." 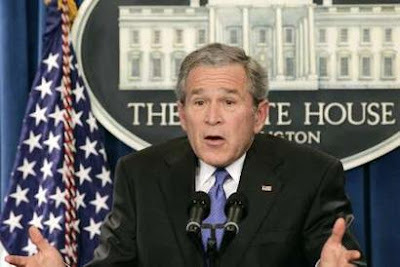 No sooner had Bush, along with Israel and the European Union, pledged to resume the flow of hundreds of millions of dollars in financial aid to the beleaguered PA, than neo-conservative commentators and some Congressmen criticised Washington's public support of Fatah's "moderate" Palestinian government and demanded that rigid conditions be placed on any aid sent to the Palestinian territories. "The administration should condition aid to the Abbas government on his promoting reform," wrote Republican Congressman Eric Cantor in an op-ed in the National Review Online. "Fatah must offer Palestinians something better than the engine of corruption and anti-Israel vitriol it has always been." "We have no choice but to support him. But before we give him the moon, we should insist upon reasonable benchmarks of both moderation and good governance -- exactly what we failed to do in the Oslo process," wrote columnist Charles Krauthammer in the Washington Post. Hidden between the lines is the belief among neo-conservatives that there is no Palestinian "partner" for peace, that Fatah isn't the answer, and that there is no near-term solution to the Arab-Israeli conflict, a position that bolsters the interventionist policies that have taken root within the neoconservative camp. "The Palestinians are a backward people, indoctrinated toward brutality. They don't rate a sovereign state or anyone's help until they civilise themselves," wrote Andrew C. McCarthy of the Foundation for Defence of Democracies, in the National Review Online. "We are enabling their hatred when we provide support without insisting that the Palestinian people -- not just Abbas and Fatah, but the people -- convincingly foreswear revolution, terrorism, violence, ethnic-cleansing, and the goal of eliminating Israel." While Bush's embrace of Abbas' emergency government appears to signal a dramatic shift in US foreign policy, neo-conservatives need not worry about just how much U.S. money will go to prop up the troubled Palestinian leadership. Even before Hamas swept the January 2006 Palestinian elections, US aid to the PA was heavily monitored, barred, and restricted by Congress, and it does not appear that Bush's most recent overtures will translate into significant disbursement of funds. "The whole business of putting onerous conditions on Palestinians has created the disaster that is occurring today. Equally absurd is the idea that the neo-cons are jumping for joy over the idea that there will not be a Palestinian state," said M.J. Rosenberg, director of policy analysis for the dovish Israel Policy Forum (IPF). "[Neo-conservatives'] goal is the destruction of the idea of a Palestinian state, and it's as ridiculous and offensive as it was the first twenty or thirty years when the Arab leaders were saying Israel was an artificial construction that could just disappear," he said. "As we've seen in the past, Congress is more sacred than the Pope and places conditions that are far more rigorous," said Ori Nir, communications director of Americans for Peace Now, a Zionist pro-peace group. On Monday, Israeli Prime Minister Ehud Olmert announced that Israel would disburse 350 million dollars immediately, with the assurance from Abbas's government that the funds will not fall into the hands of Hamas. Israel froze those transfers once Hamas came to power. "We need to see a new situation with the Palestinians as an opportunity which will lead eventually to talks on forming a Palestinian state," said Olmert at a press briefing following his Tuesday meeting at the White House. "We need to strengthen the financial situation in the Palestinian Authority and to create opportunities for cooperation." When asked if pro-Israel lobby groups were in the process of promoting legislation aimed at severely restricting the flow of aid to Abbas's newly formed government, Josh Block, spokesman for the American Israel Public Affairs Committee, acknowledged that, at least temporarily, there was a general climate of opportunity to support Abbas. "We'd like to see [the PA] succeed, but we have to make sure that American taxpayer money goes to the right place, under common sense conditions -- auditing, accounting transparency," said Block. "That kind of accountability is what we would expect from anybody everywhere." Other critics argue that while Bush's public support of Abbas and the "two-state solution" is a positive step that reflects the realist vision of Secretary of State Condoleeza Rice, but it is too little too late. "It's better than nothing. It's half of a good idea," said Rosenberg. "It would have been a great idea if they would have done it when it mattered." Mehrnaz Shahabi: The story in the Observer reportedly comes from MI6. The role of M16 in covert domestic and foreign operations and its infiltration and manipulation of media is well documented. One such example is 1953 coup and the overthrow of the popular nationalist government in Iran. An article in the British Journalism Review in 2000 by David Leigh, the respected investigative journalist, the then editor of the Guardian’s comments page and the assistant editor of the Observer, refers to the use by MI6 of “Information Operations” to manufacture consent in public opinion for foreign policy adventures. He details attempts at recruiting journalists, MI6 agents masquerading as journalists, using media pseudonyms to promote stories, and media links to disseminate convenient stories or black propaganda. It is noteworthy that this report names Con Coghlan, the Daily Telegraph author of incriminating stories about Iraq and now Iran, as one such link. However, this knowledge did not hinder Con Coghlanis ability to successfully pedal misinformation that led to the invasion of Iraq, and his current insinuations in relation to Iran. Considering the secret nature of these operations and the use of the Official Secrets Act, how is it possible to pursue such links and uncover the sources behind these stories? Everyone we fight in Iraq is now "al-Qaida"
Will the Israelis invade Gaza? 509,000 names on the FBI's "terror watch list"
Don't We Have a Constitution, Not a King?